Nissan Frontier Forum > Nissan Frontier Forums > General Discussion > Regrettable mods?? What mod(s) did you do you wish you hadn't? Steel skid plates. Just because they are really heavy. Aluminum now. Maybe my early suspension. Worked ok but just not performance wise , was lacking . I feel like all my mods have been learning experiences, but I regret my Thule roof rack/load bar setup. Really looked kind of silly and I ended up taking it off as it just never served much of a purpose. Too tall to easily throw my bike up there, and not enough space to really use as a good rack. On a personal level, I don’t like the term “regret.” I try to learn from my mistakes rather than regret them. To answer the question though, I’m happy with all the mods that are currently on the truck. As far as past mods, two come to mind. 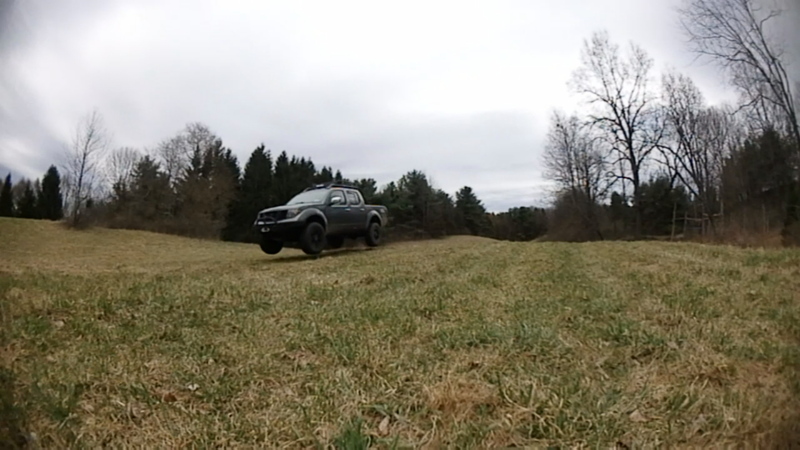 The Bil/OME suspension setup was a mistake, as well as the Softopper. Both had big drawbacks and neither served the purpose I needed them to. Last edited by Bamps; 04-13-2019 at 10:37 PM. My add a leafs. Wish I’d just done either new leaf spings or air bags. Not sure I really regret them but the ShrockWorks bumper and skid plates are extremely heavy. Perhaps a little overkill depending on use. It has always been a bit difficult finding add-ons for the Frontier and only recently did I see a heavy duty aluminum front bumper that's a match for the ShrockWorks but 80 lbs lighter. that being said, I did push a 4 inch tree down with it today and drive over it without worrying. I do regret the Banks Monster exhaust though. It really only sounds cool when you get up to about 4500 rpm or better. The rest of the time it's just loud, even with fully soundproofing the cab. Oh, almost forgot. The cold air intake kit was a waste of money. Changing to a snorkel is definitely in the future and the CAI is out the window. Last edited by wileycoyote; 04-13-2019 at 10:46 PM. GMK, if you decide to pull yours, I've only had mine for a week now so obviously no long-term observations yet, but the Firestone RideRites are a good kit, a few mods needed but overall well engineered. I detailed my install and operation observations in my build page and also on the dedicated air bags page write-ups. Many on here have had them for yrs so they must be built pretty robustly.